I am a woman offended by your article in Broadly today. As a Scientologist I protest the bias and bigotry exhibited against my religion. Gratuitous, inflammatory comments like the ones you published reflect disdain and discrimination toward people of our faith. The use of the term “cult” to describe a worldwide religious movement practiced in all corners of the world is clearly intended to stigmatize members of this faith. It is also grossly inaccurate when applied to Scientology, as the decisions of numerous high courts and government administrative bodies, not the least of which are the High Court of Australia, the Supreme Court of the United Kingdom and the European Court of Human Rights. Recognized experts of religion, such as Catherine Wessinger from Loyola University New Orleans decry the use of this term as evidencing just as much prejudice as racial slurs. She stresses that the bigotry conveyed by the word dehumanizes the group’s members and their children. Sadly, religious hate and bigotry have once again reared their ugly heads in our society to ever dangerous and even violent levels not seen in years. 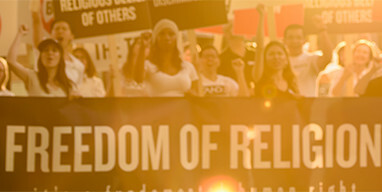 As they do, we Scientologists are more committed than ever to fighting for truth and especially for the cherished guaranteed human right to freely practice the religion we see fit. We respect your right to freedom of speech and the press. You should respect our right to freedom of religion and association. There simply is no place in our society for such ignorance and bigotry. I ask that you take action to prevent this bigotry from being carried in your stories and that you actually find out what Scientology is about from those who call it their chosen believe.